— Enjoy rich, comfortable, and sumptuous living. Let Cruisenet Tours & Travel and American Cruise Lines introduce you to the the stunning beauty of the Pacific Northwest and its fascinating sagas of fur traders and early explorers, pioneers, proud Native American Nations, and Lewis & Clark’s significant expedition - all aboard an authentic paddlewheeler, Queen of the West. The Columbia River flows through a rich tapestry of ever-changing landscapes, thriving wildlife habitats, and fascinating human endeavours. With Washington State to the north and Oregon to the south, the landscape reflects the massive geological forces have been active for millions of years. From deep river canyons, lush forested slopes and sparkling waterfalls to snow capped mountains and the remote high desert country, this place is like no other. Along the course of the river you will traverse seven sets of locks, bringing the ship to over 700 feet above sea level. From Astoria, the oldest American settlement west of the Rockies, to the dramatic scenery of Hells Canyon on the Snake River, this journey allows you to follow in the footsteps of Lewis & Clark’s monumental expedition while discovering the natural wonder, native lore, pristine wilderness, and rich history along this epic course. Queen of the West has the capacity to carry 120 guest. 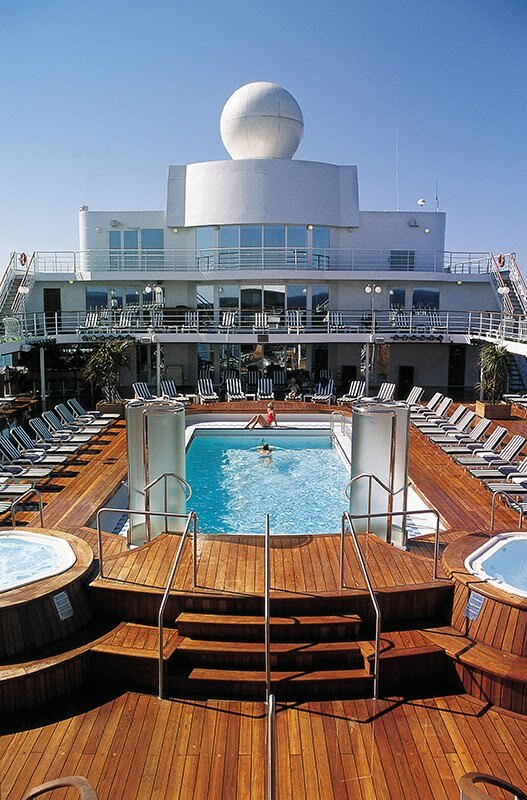 Many of the 63 staterooms have private balconies and all of them have satellite TV and internet access. American Cruise Lines specializes in a unique style of small ship cruising along the inland waterways and rivers of the United States. Fascinating itineraries include the Pacific Northwest, Maine, New England Islands, Hudson River, Chesapeake Bay, the Historic South & Golden Isles, Florida, Alaska, and the Mississippi River. With no more than 150 guests onboard, passengers experience each port of call, up close and personal, all while enjoying the camaraderie of fellow travelers and the exemplary service that is the hallmark of American Cruise Lines. Your masterfully skilled chef creates delectable feasts for each meal. Carefully selected fresh seafood meats, and produce are often purchased in the regions visited allowing the chef to highlight the cuisine with local flavour. Meals are prepared to order and served in the glass-enclosed dining room, where every seat offers a panoramic views of the beautiful scenery. See what National Geographic has to say about the Columbia River! TRAVEL TRIVIA: The Columbia River is the largest river in the Pacific Northwest Region of the United States. Powell’s City of Books. The 3-story city block of books, is located downtown. Oregon Wine: Try a glass! Try a pint of Oregon Microbrew Beer. Better yet, try a sampler at several Brew Pubs - they’re everywhere. Walk in the Park. 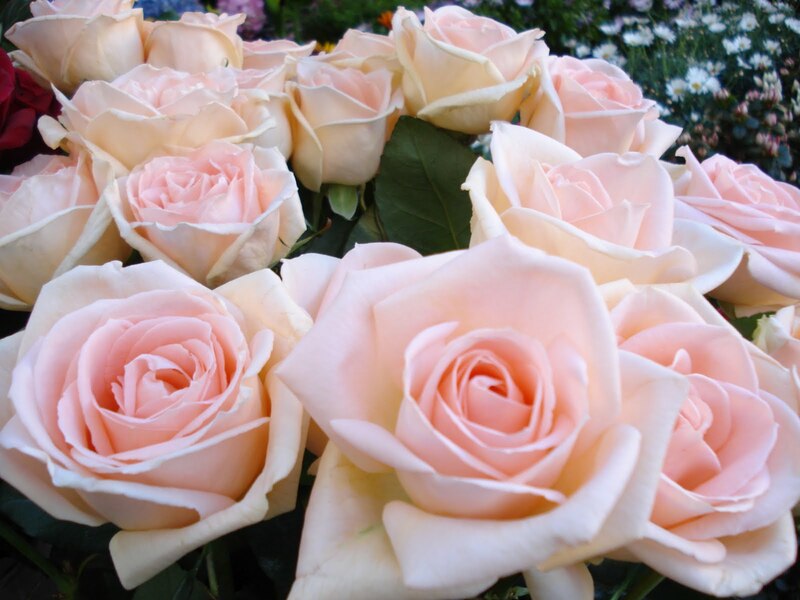 The City of Roses is also a City of Parks. All aboard Queen of the West! We are really excited to be partnering with All Discovery Cruising that has Swan Hellenic, Hebridean Cruises and Voyages of Discovery. You may have seen our ads in the Globe and Mail for some really exciting offers on Swan Hellenic. Their ship, the mv Minerva is currently undergoing a complete refurbishment. Imaginative design will transform the public areas on board providing increased passenger space for our 350 passengers. A new wrap-around Orpheus Lounge and Bar will be created at the forward end of the top deck providing expansive panoramic views. Shackleton’s Bar will be extended into a horseshoe shape allowing passengers additional space in which to relax and enjoy the intimate on board ambience prior to dining in the newly named signature Swan Restaurant, named after our founders W F and R K Swan. A new walk round teak Promenade Deck, which preserves the classic days of cruising,will be laid at the top of the ship. This, with the Orpheus Lounge and Bar, will offer the perfect vantage points, both inside and out, for those memorable arrivals and departures, early morning walks and pre and post dinner cocktails. A reconfiguration of the public areas on Bridge Deck will see the former cinema upgraded to an additional lounge, to be known as the Livingstone Lounge. The internet area, currently located in the Library, will move to the port side of the ship and be renamed the Internet Lounge. This larger facility will meet our passengers’ expectations, allowing them to remain in close touch with family and friends. The renowned and popular Swan Hellenic library, which boasts some 5,000 volumes, an integral part of the Swan Hellenic heritage, will remain unchanged. A new Salon Centre and Gymnasium will be created at the aft end of Aegean Deck. The aft end of the new Sun Deck will be extended with teak decking to create anadditional, sheltered outside space for relaxation, while the teak deck surrounding the pool area on Bridge Deck will now benefit from a canopy arrangement to provide protection from the sun. This will create an enhanced space for dining alfresco and also create a late evening entertainment venue. Equally important and included in this multi-million upgrade – but not as visible to passengers – will be a systematic and thorough renewal and upgrading of the ship’s technical capability, improving Minerva’s efficiency, comfort and environmental performance. A new propulsion unit will improve efficiency and increased thruster power will improve maneuverability – particularly in smaller, remote ports. Other improvements to the ship’s infrastructure include a new waste management system to provide increased environmental and personal hygiene facilities on board, an upgraded air conditioning system, new internal pipework and new facilities for the ship’s laundry. Minerva’s tenders will also be replaced, providing a significantly improved tender serviceat anchorage ports. The popular ship’s zodiacs will remain on board, providing additional opportunities for exploration in shallow waters. MORE BALCONY CABIN SUITES THAN EVER BEFORE - This significant redesign and upgrade will create 32 new balcony cabins, bringing the total number of balcony cabins up to 44; this represents 23% of passenger accommodation. The current 12 Deluxe cabins will be extended, and teak balconies created, by building out over the Sun Deck; these cabins, with an overall size of 31 square metres, will be known as Deluxe Balcony Suites. The 20 Superior cabins will also be extended out over the Sun Deck and have teak balconies created; these cabins, which will also measure 31 square metres, will be known as Balcony Suites. On Bridge Deck our premier cabins, the two Owners’ Suites, will be enhanced with new en suite facilities, as will the Suites; the latter will now be known as Superior Balcony Suites. The 22 port side suites will be fitted with new en suite bathrooms while the 22 suites on the starboard side of the ship will be refitted with en suite shower rooms. The cabins on Aegean and Baltic deck will all be upgraded, with new en suite shower rooms and soft furnishings. The Minerva will virtually be a "new ship" and to celebrate her re-birth Swan Hellenic have a current promotion that any reservation made and deposited before December 31/11 will receive a US$300.00 per cabin shipboard credit. Since the cruise price includes all your shore excursions and shipboard gratuities this complimentary shipboard credit can be used towards any of your on board expenses. Take a look at this video for more insight into the atmosphere of a Swan Hellenic cruise. A NEW WAY TO SEE THE OLD WORLD! Over the last few years River Cruising has become THE WAY to see the heart of Europe. River vessels are long, low and luxurious accommodating a mere 130 plus passengers. Clients are met at the airport whether or not they have used the cruise line's flights, transferred to either a luxurious hotel (Red Carnation Collection) or ship for the start of uncompromising, value-packed experience free of the hassles of other modes of transport. From big cities to authentic small towns, Uniworld Boutique River Cruises provides an intimate experience not available on ocean cruise ships. You unpack your bags only once and settle into your luxurious, five-start Uniworld floating boutique hotel which has been artfully designed with Old World elegance; modern, thoughtful amenities and signature touches. You never wait in long lines to get on or off the ship, never tender into port, and never experience rough water or motion sickness - only smooth peaceful sailing. Uniworld offers the finest riverview staterooms afloat - many with French balconies - offering deluxe signature touches including hand-made beds from Savoir of England and a wide variety of pillow options for the most soothing and comfortable night's sleep. Luxurious marble-clad bathrooms stocked with L'Occitane products, plush towels and soft comfy robes. All on board meals flawlessly prepared using only the freshest ingredients,often brought onboard from local farmers' markets. Award-winning service from a professionally trained, English-speaking staff on all ships. Complimentary fine wines, choice of beer, and soft drinks during lunch and dinner onboard; bottled water in your stateroom; and 24-hour specialty coffee and tea bar. Included shore excursions in most ports of call including state-of-the-art Quietvox audio systems. Signature lectures and intriguing local entertainment; exclusive epicurean adventurer program and FREE on board internet and Wi-Fi access. The following comment from one our clients says it all! 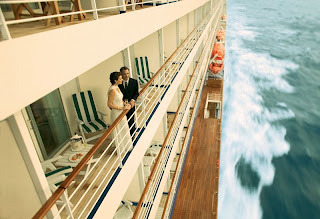 Muriel, If we go on a cruise again it will have to be Uniworld and booked thru Cruisenet !!! We cannot recall a most enjoyable, relaxing holiday...... completely hassle free !!!!!!!! The ship and the facilities were most comfortable , the shore tours were properly arranged and most interesting. The cuisine was superb and the service on board, the transfers , the rooms, were simply outstanding. Will voluntarily become a Cruisenet and Uniworld spokesperson any time! 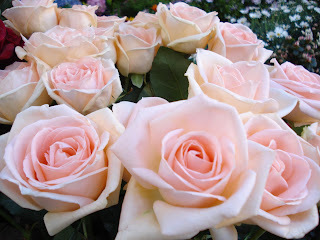 Thank you very much for you kind help and assistance in getting the holiday organized. It will be one with very lasting memories. We at Cruisenet have negotiated some exceptional savings on a number of 2012 departures and urge you to visit our web site that lists all the available promotions, departure dates, prices etc. Or better still why not call our office and we will be pleased to assist you. 800-387-2055 or locally 905-829-0111 in Oakville Ontario. River Cruising is simply a wonderful way to experience all that the heart of Europe has to offer. Come join us! Muriel. If you've been thinking about taking a cruise this year - now is the time to make it a reality. More and more of the cruise lines are offering never before seen discounts and added amenities. It's absolutely amazing what you can get with your cruise fare these days. Regent Seven Seas Cruises is a luxury all-inclusive cruise line that have the most included amenities of any cruise line I've seen. With your cruise fare you will also get free roundtrip air from most major airports in North America, free unlimited shore excursions, free luxury hotel package, free beverages including fine wines and premium spirits, free pre-paid gratuities, free ground transfers, free 24 hour room service - all of which can add up to more than $3000 pp on a 10 night cruise!!! All this on top of their current specials offering 2 for 1 fares and bonus savings of up to $8000 per suite. Regent offers mid-size ships with a maximum capacity for only 700 guests, all-suite accommodations(97% of which have private balconies), up to 4 restaurants, butler service in Penthouse suites and higher, Canyon Ranch SpaClub and wireless internet throughout the ship. Their prices go up on July 1, 2011 so don't delay in booking your dream cruise on a Regent Seven Seas All-Inclusive Luxury Cruise! 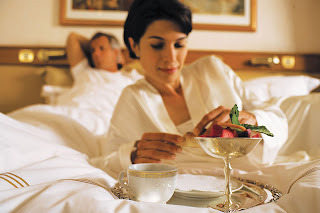 Oceania Cruises has a Historic Savings Event on until August 31, 2011. They are offering up to 75% off and free Airfare. Oceania Cruises is the world’s only upper-premium cruise line, offering the finest cuisine at sea, gracious service and award-winning itineraries at an exceptional value. The line’s hallmark is a country club-casual elegance; the overall feeling is one that is never stuffy and is void of pretension. 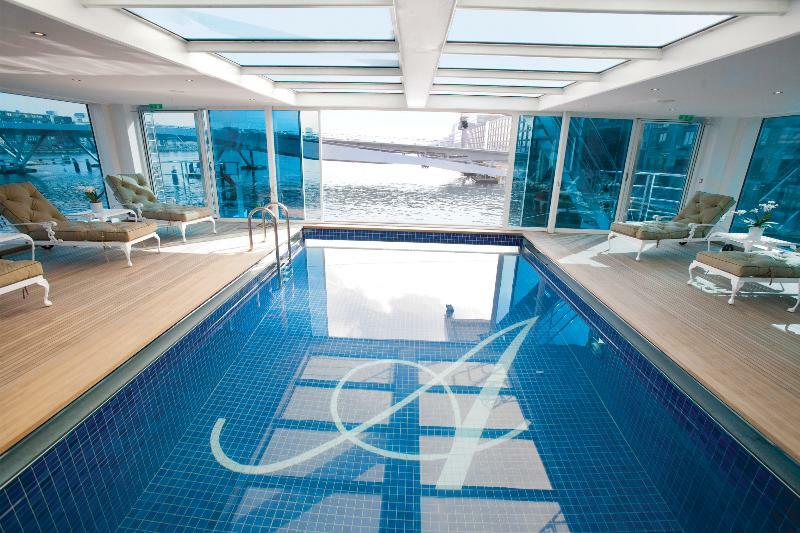 The leader in destination cruising, Oceania Cruises offers award winning itineraries to more than 300 of the world’s most alluring ports onboard elegant, mid-sized ships. Guests enjoy complimentary and unlimited soft drinks and bottled water and the flexibility of open-seating dining in up to six gourmet restaurants – all at no additional charge – so they can dine when, where and with whom they choose. Canyon Ranch SpaClub® is a recent addition to all ships in the fleet, and in addition to massages and treatments, includes lectures, cooking demonstrations and Canyon Ranch cuisine options in the onboard restaurants. In January 2011 the 1,258-guest Marina will join the fleet. Marina is destined to set new cruise industry standards, with elegantly appointed and custom-crafted accommodations that are among the most spacious at sea. Specifically designed for lovers of fine food and wine, Marina will boast an array of stylish bars and lounges and 10 dining venues – six of which are open-seating restaurants – including Jacques, the first restaurant at sea for Jacques Pépin. Other enhancements include a Bon Appétit Culinary Center – the only hands-on cooking school at sea – and La Reserve by Wine Spectator, where guests may immerse themselves in the culture and nuances of wine appreciation or indulge in a seven-course pairing dinner. Oceania's Historic Savings Event ends August 31, 2011 and is limited to specific itineraries. Call us to book your Oceania Experience. 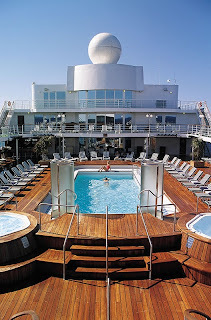 Seabourn Cruises is now offering cruise fares up to 50% off. Their unique itineraries to must-see cities and hidden gems where larger ships cannot go with spacious, all-suite accommodations offering sweeping ocean views, many with verandas -Seabourn suites are thoughtfully appointed and inviting, designed as homes away from home with room to unwind or entertain. Fine wines poured at lunch and dinner, and open bars throughout the ship. Meet and mingle with fellow guests in a carefree atmosphere, where no one has to pick up the tab. All dining venues are complimentary — dine where, when and with whom you wish -from casual to elegant, indoors, al fresco or in your suite, a range of choices invites you to be spontaneous. Complimentary welcome champagne and in-suite bar stocked with your preferences. Soft drinks, beer and mineral water, complete glassware and your favorite wines or spirits are ready for your enjoyment or for entertaining. Tipping is neither required nor expected — service simply to delight you -the award-winning staff is driven only by their sincere desire to please, and with a smile that comes from the heart. Windstar Cruises is offering 47% off and 2 free nights in Athens on it's Greek Isles itinerary. The small, sleek yachts of Windstar are made for seeing the world quite literally from a different point of view. One that is intimate, more unique and simply more exhilarating. A voyage with Windstar promises the thrill of sailing the open seas. The relaxing luxury of your own private yacht. And the romantic adventure of exploring the world's most storied places and secluded harbors. Far from boisterous crowds, you're free to escape when you want and how you want. And leave the jacket and tie at the office if you'd like. Windstar doesn't want formality to get in the way of true escape - recharging, reconnecting and relaxing. Book before June 30, 2011 to take full advantage of this opportunity. And those are just a start! There are so many amazing offers right now I can't possibly list them all but do contact us if you want to learn more. We offer river cruising, ocean cruising, small ship or large ship and everything in between. Uniworld Boutique River Cruise Collection is proud to announce the 2012 launch of their Vietnam, Cambodia, and Mekong River Cruise program. Uniworld is partnering with Pandaw Cruises to offer travelers a truly authentic experience and insight into the history, the culture, and lives of the people of Vietnam and Cambodia. Cruises will begin in January 2012. The new boutique river cruise ship, River Saigon, will have a 60 passenger capacity, providing travelers with the opportunity to explore this fascinating part of the world in intimate groups with more access and opportunities than they would have on a larger ship. There are 30 well-appointed, deluxe riverview staterooms at 168 sq. ft, with added amenities including bottled water, and robes and slippers. Staterooms will have a French door entrance with an outside sitting area, allowing for beautiful views of the river. The ship will have a spacious sun deck with comfortable lounge chairs and seating areas, and a full service bar. There will be a separate lounge for meetings and relaxation, and a restaurant for fine dining. Complimentary wine is included with dinner, and complimentary coffee, tea, soft drinks, beer and cocktails are available throughout the day. 13 days of included shore excursions will be conducted by experienced English-speaking local guides in small groups of no more than 20 passengers. Small group size is ideal for exploring the floating villages, local markets, and fabled temples that Uniworld guests will visit, including the impressive ruins and temple complex at Angkor Wat, a UNESCO World Heritage site. Uniworld’s new Timeless Wonders of Vietnam, Cambodia & the Mekong itinerary takes travelers on a 14-night cruise and tour that operates between Ho Chi Minh and Hanoi, Vietnam, and includes Cambodia’s Phnom Penh, Siem Reap, and Angkor Wat. The 7-night cruise will run between Kampong Cham in Cambodia and My Tho in Vietnam. For the land portion of the program, guests will spend seven nights in deluxe hotels with luxurious accommodations, including buffet breakfast, service charges, and porterage. Uniworld’s guests will also receive exclusive VIP treatment at each hotel including private check-in with welcome drinks, in-room welcome flowers and fruit platter, and at the Victoria Angkor Hotel & Spa, each guest will receive their own personalized monogrammed bathrobe to keep. Optional pre- or post-cruise extensions, including Ha Long Bay, Vietnam, and Bangkok, Thailand will also be offered. Uniworld will offer 21 departures starting in January 2012 and expand to 31 departures in 2013. “Uniworld is committed to providing our clientele with expanded product offerings in historically rich and culturally fascinating destinations throughout the world. I am confident that this new exciting destination will be well received by both Uniworld’s past guests and future cruises,” adds Young. 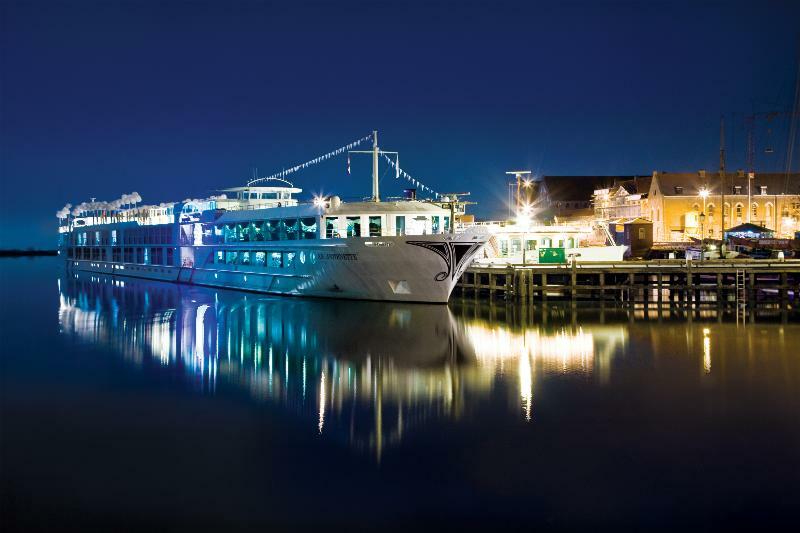 Uniworld is having a very busy 2011 -they inaugurated their new Super Ship, S.S. Antoinette, launched a second new ship - Douro Spirit and announced the new destination of Vietnam & Cambodia! There's so much to write and talk about we're just going to have to break up our blog entries! First we'll focus on the new S.S. Antoinette and her stunning beauty, then on to the Spirit and Vietnam. The S.S. Antoinette was christened at an inauguration ceremony at the Port of Amsterdam, the Netherlands on March 19, 2011. Lead by Mrs. Beatrice Tollman, President and Founder of Red Carnation Hotels, and her daughter Mrs. Antoinette Tollman, godmother and namesake to S.S. Antoinette, who is also the designer and the visionary behind the S.S. Antoinette’s lavish design and décor, and their lead designer Mr. Brian Brennan, they worked closely with the shipyard De Hoop to bring a new class of ships to the cruise industry. 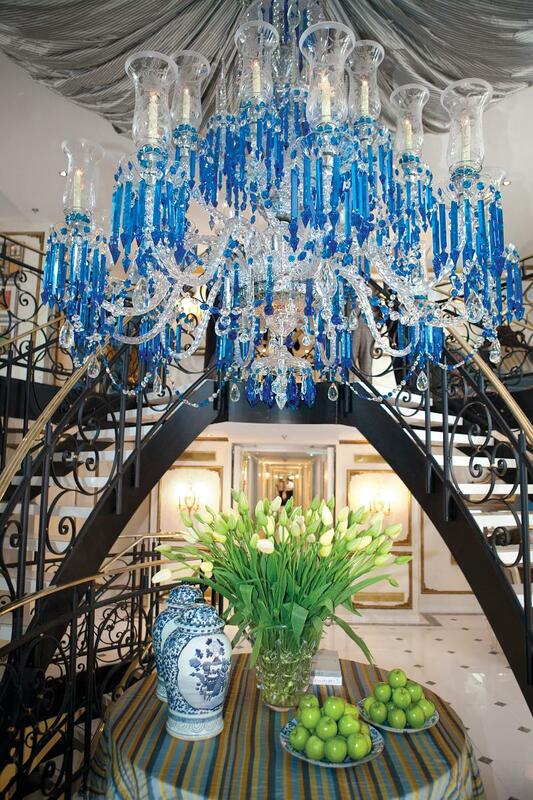 Wanting to find the perfect home for the chandelier, they placed it in the lobby of the S.S. Antoinette and designed the ship around this beautiful focal point that reflects the sunlight so perfectly. “From there, we were inspired by Marie Antoinette and 18th-century Versailles to create the beautiful, rich, and opulent, yet classic style. The Salon du Grand Trianon is inspired by the Hall of Mirrors at Versailles, and the Restaurant de Versailles by the ornamental gardens there. Above all, it was designed to take the guest on a journey and, as I learned from my mother, to give them the absolute best experience possible,” furthers Mrs. Tollman. When you are a family-run company such as Uniworld and Red Carnation, you have greater passion, greater commitment, and a greater connection to ensuring your hotels—whether on land or on the water—provide guests with the ultimate experience incorporating the finest luxuries and comforts, as evident throughout the S.S. Antoinette and all of Uniworld’s ships; a world-class Food and Beverage program as recognized by Zagat; and intuitive and award-winning hospitality as evident by esteemed travel entities including Conde Nast Traveler and Travel + Leisure. Regent Seven Seas is offering some unbelievable deals for 2011 and 2012. We just can't believe all the specials available to our clients on select departures. If you'd like to learn more about Regent Seven Seas - you can view this video. 2011 Cruises For all 2011 voyages featuring FREE Roundtrip Air and FREE Unlimited Shore Excursions, book any of these voyages and receive 2-for-1 Fares plus additional bonus savings of up to $6,000 per suite! 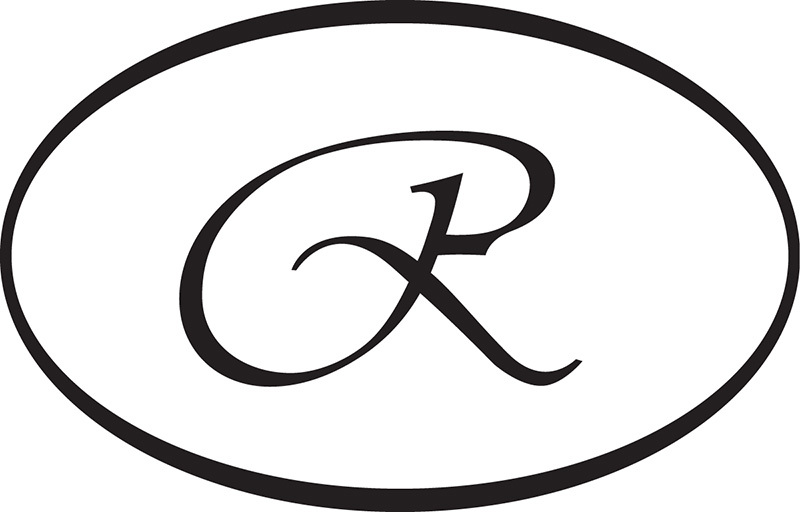 Free Unlimited Shore Excursions Regent Seven Seas Cruises offers FREE Unlimited Shore Excursions on each and every voyage. Receive access to complimentary, award-winning shore excursions during your voyage, in addition to the all inclusive cruise experience you have come to expect from the World's Best Cruise Line, Regent Seven Seas Cruises. While there are numerous FREE Shore Excursions in each port, here is just a small sampling of those available in some of RSSC's worldwide destinations. Be sure to click on the Ports & Excursions tab of any voyage for a complete list of available tours. Roundtrip Air and Business Class upgrades As part of the world's most inclusive cruise experience, Regent Seven Seas Cruises offers FREE Roundtrip Air and transfers between the airport and ship on each and every voyage. Regent Seven Seas Cruises provides guests with the opportunity to upgrade to Business Class from as little as $999 each way on select voyages, while guests in a Penthouse Suite and higher on select Europe cruises receive a FREE Business Class upgrade. 2012 Cruises In addition to all 2012 voyages featuring FREE Roundtrip Air, FREE Unlimited Shore Excursions and a FREE Luxury Hotel Package, book any of these select voyages and receive 2-for-1 Fares plus additional bonus savings of up to $8,000 per suite! Free pre-Cruise, one-night Hotel Regent Seven Seas Cruises adds one more all-inclusive amenity to your cruise experience: a FREE pre-cruise, one-night hotel stay on all of these select voyages. Air travel can be tiring and stressful and we want to uncomplicate your life, so with a charming sense of ease, RSSC will handle all the details once you land in your embarkation port. Enjoy a worry-free transfer and porterage from the airport to your hotel, and the next day RSSC will transfer you and your luggage to your waiting ship. Of course, they also invite you to enjoy breakfast at your hotel with their compliments. It’s like adding an extra unforgettable day to your cruise vacation. Free 3-Night Land Book any of these select voyages and receive a FREE 3-Night Land Program, or save an additional $2,000 per suite. From bustling Dubai and the mysterious wonders of India, to the ancient dragons, exotic jade landscapes and dynamic cities of the Pacific Rim. From the famed Valley of the Kings in Luxor to the fabled ports of Europe, they all await your discovery. Sail aboard the 700-guest, all-suite, all-balcony Seven Seas Voyager on our Legendary Journeys and enjoy FREE Business Class Air, FREE Internet access, pre-cruise Gala events and more. 2012 Circle South America Only with Regent Seven Seas Cruises can you experience this Grand Circle South America voyage. Seven Seas Mariner departs Fort Lauderdale on January 6, 2012 for a remarkable voyage, returning 73 days later. Join for the entire grand adventure, or one of the extraordinary segments transiting the Panama Canal, navigating the Chilean fjords, crossing the Drake Passage or sailing up the mighty Amazon: it is all yours to discover on this unique voyage of exploration. Click here for more details. Free Egyptian Land Program Sail on any of these select voyages and enjoy a FREE 3-Night Egyptian Land Program from Luxor, or an additional $600 per suite savings. Single Supplement Regent Seven Seas Cruises offers select sailings on which single guests pay a lower additional fare as compared to standard single supplement fares. Standard single supplements normally range from 75% to 100% above the advertised per person double occupancy cruise fare, however these select cruises feature special reduced single supplements in select suite categories. Kids Sail from $999 Regent offers you great savings as children under 18 years of age sail from just $999 on select voyages. Share unique experiences with the whole family, onboard and ashore, as this special offer is combinable with their Free Unlimited Shore Excursions!